We are honored to present the Taiwan Philharmonic in their Pacific Northwest debut. This is the first time Meany Center has ever presented an ensemble of this size and it would not have been possible without the support of the Asian Programming Endowment established by David and Cathy Hughes. Cathy’s father and uncle were co-founders of the Chi Mei Corporation in the 1950s. In 1992, her uncle, a self-taught painter and violinist, established the Foundation for the express purpose of collecting art from all around the world so that the people of Taiwan would have access to it. The Foundation also owns approximately 1,000 of the world’s rarest instruments—including one of the three oldest cellos still in existence, and what is believed to be the last violin made by Guarneri del Gesù. The Foundation loans these instruments, free of charge, to any qualified Taiwanese musician. They are frequently borrowed by young musicians heading to international competitions—in fact, the winner of the 2017 Tchaikovsky Violin competition was playing an instrument from the Chi Mei collection. 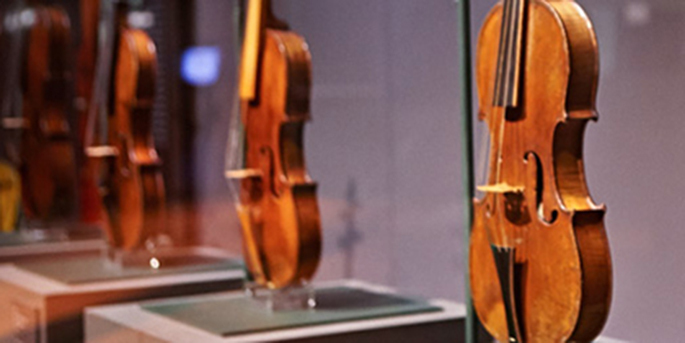 At their Meany Center debut, two Taiwan Philharmonic members will also be playing violins from the collection: one made in 1705 by Giuseppe Guarneri filius Andrea; and a 1734 instrument by Sanctus Seraphin. Thanks to Cathy and David Hughes and to the Chi Mei Foundation for their support of this program.